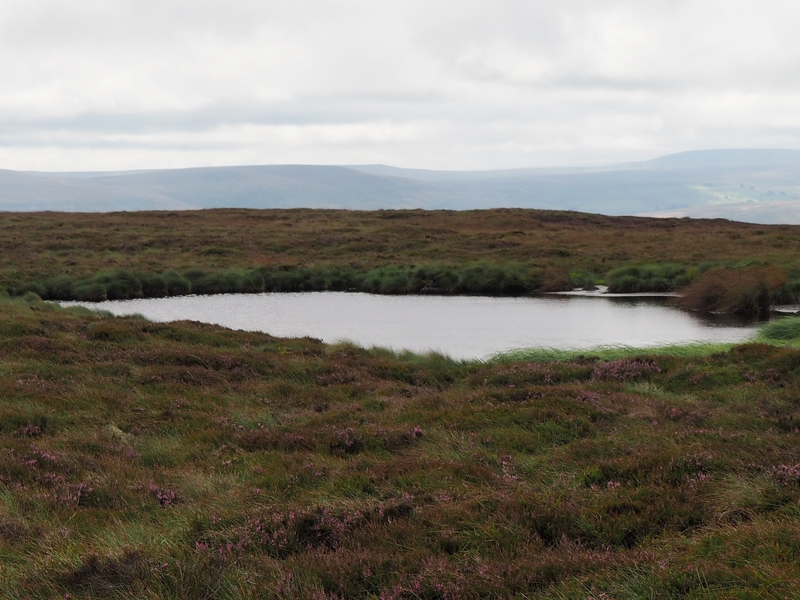 Spring Ridge Tarn is a tiny tarn situated on the south side of the boundary fence that divides Whitaside Moor and West Bolton Moor. Technically this is an unnamed tarn, but as it is situated on the moorland brow of Spring Ridge the name Spring Ridge Tarn makes perfect sense to me. The first time I came across Spring Ridge Tarn was whilst walking between two near neighbours, the similarly tiny Aberdene Tarn to the west and the much larger Whitaside Tarn to the north.